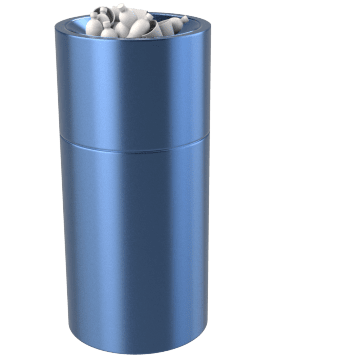 Keep animals and odors at bay with these durable metal trash cans. 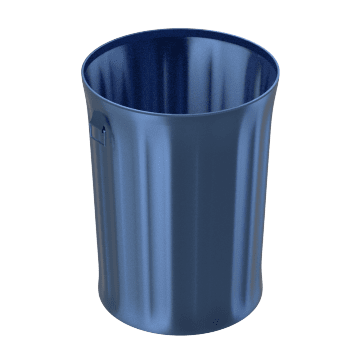 Unlike plastic garbage cans, metal ones don't absorb odors and won't warp in hot and sunny areas, and they prevent rodents and other pests from chewing through the can. 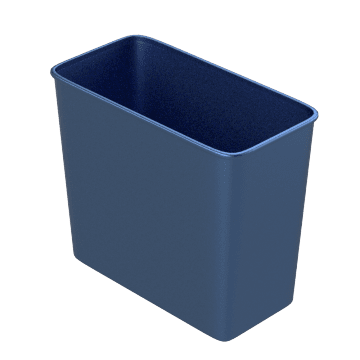 Suitable for dry trash, these large-capacity sturdy trash cans have a strong, wire-reinforced top rim and side drop handles for convenient carrying. The open top lets you toss trash in easily. 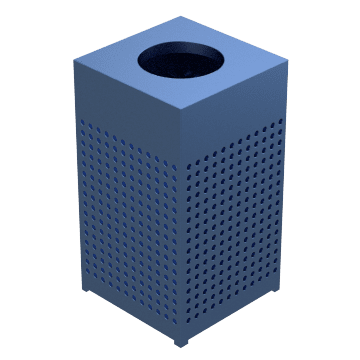 Also known as schoolroom-style wastebaskets, these small trash cans have a strong wire-reinforced top rim and a raised bottom that keeps the containers off the floor and prevents heat transfer if the contents catch fire. The open top lets you toss trash in easily. 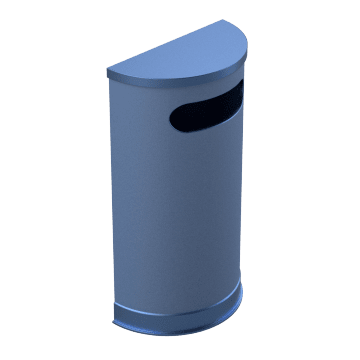 You can toss trash into these open-top trash cans without touching the container, helping to eliminate cross-contamination and reduce the risk of spreading germs. 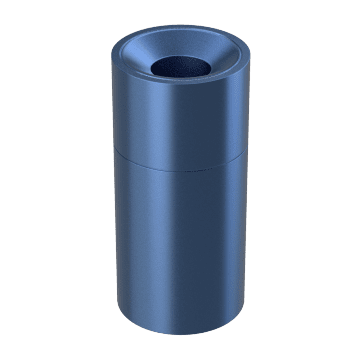 A protective ring on the bottom of the can resists scuffing. Ideal for areas with limited space, these half-round containers have a flat back and fit flush against a wall. 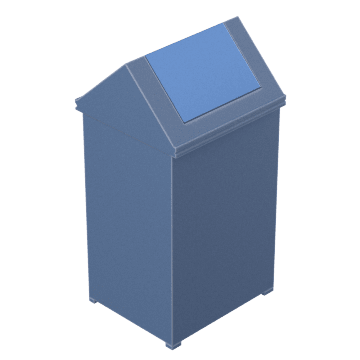 Also known as half-moon or half-circle trash cans, they have an opening where you can toss trash into the container. A protective ring on the bottom of the can resists scuffing. Choose these mesh containers for a modern, contemporary look. 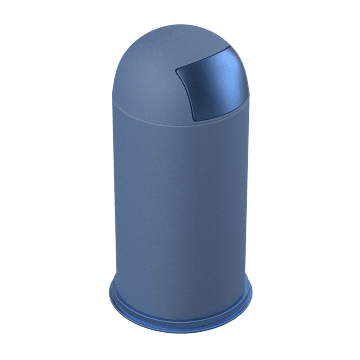 Ideal for high-traffic areas, they have open tops for hands-free trash disposal and come with rigid plastic liners that stop leaks from reaching the container. Hide trash from view with these dome-top containers. Push open the swing door at the top of the container to deposit trash. Once the trash is in, the door swings closed to keep odors in and pests out. A protective rim on the bottom resists scuffs. 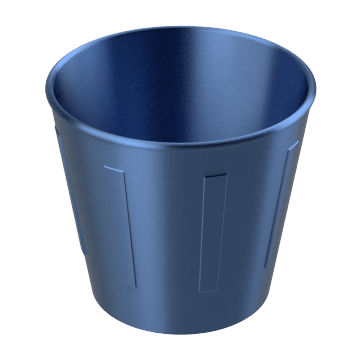 These containers have a hinged top that swings open when pushed so you can drop trash into the container and then closes automatically to conceal the trash and keep pests out.